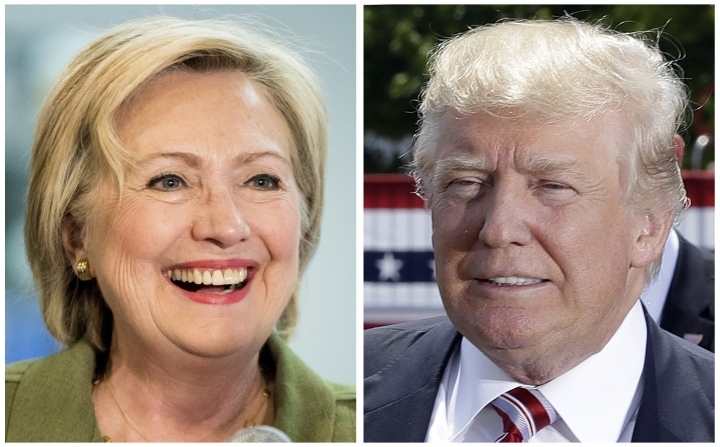 WASHINGTON — Hillary Clinton and Donald Trump offer voters distinct choices this fall on issues that shape everyday lives. Actual ideas are in play, as difficult as it can be to see them through the surreal layers of the 2016 presidential campaign. Washington, even in normal times, may feel like a foreign capital far removed from the places politicians love to talk about — the proverbial kitchen table, Main Street, your wallet. But decisions to be made by President Trump or President Clinton are going to matter to home and hearth. The tax bite, the social safety net, the social fabric, potholes, prices, jobs, war, the air we breathe, personal debt and national debt — all that and more are touched in some way by the ballots of Tuesday, Nov. 8. America's place in the world is in the balance, too. So is the direction of the Supreme Court, tied between Republican and Democratic appointees. In a sense, a vote for president is also a vote to break the court's left-right divide. Which side are you on? Whichever side, voters are in the driver's seat, not the cheap seats, for this election spectacle. Clinton brings some predictability. She has a public-service record and an economic agenda rooted in the traditions of the Democratic Party. Trump at the core is a party of one. The Republican nominee serves up ideas in improvised explosive tweets and broad brushstrokes from the stage. That contrast is a guide to what to expect, not the whole story. Both are known to have shifted with the political winds. And their plans require the approval of that famously ornery place, Congress, to become real. Even so, they point to divergent paths for the country on immigration, the economy, health care, global warming and any number of other topics. They present, in short, discernible choices. In this series, Associated Press writers who cover subjects at stake in the election illuminate the economic, social and foreign policy landscape, summarize the positions of the candidates and look at why those choices matter.